If Jesus really claimed to be God, why don’t we find proofs of his divinity in the first of the four gospels, that of Mark? 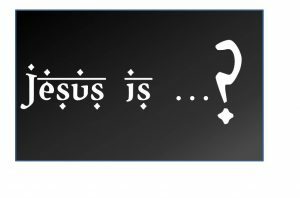 Jesus-Islam » Jesus Christ » If Jesus really claimed to be God, why don’t we find proofs of his divinity in the first of the four gospels, that of Mark? For Muslims, the doctrine of the divinity of Christ is considered anathema, and the Koran teaches that the one who adheres to it will dwell in the flames of hell (Sura 5: 72). For a Christian, believing in the divinity of Christ is necessary for salvation (Romans 10: 9). Can there be a greater divergence? Muslims believe that Jesus was exalted after his death. Many Islamic sites quote Ehrman regularly. They adopt his approach, arguing that if Jesus had claimed to be God, we would have found proofs of his divinity in the first of the four Gospels, that of Mark. They try to demonstrate to Christians that Mark presents Jesus as a mere man, not as God. Let us now explore the gospel of Mark. The more you learn about this gospel, the more you will realise that it is a very Judaic gospel, written very much with the Old Testament in mind. It refers to the Old Testament more than 70 times, and particularly to the book of Isaiah. It never refers explicitly to Greco-Roman sources. When the Gospel of Mark with this in mind, that is, its Hebrew background, we see that Ehrman was terribly mistaken. Not only is Mark presenting Jesus as God, but the main purpose of his gospel is to reveal that Jesus is Yahweh (Jehovah), the Lord! Isaiah prophesied over 700 years before the Messiah was born that Yahweh, the God of Israel, who revealed Himself to Abraham by that Name, would appear and a voice in the wilderness would proclaim His arrival. Mark declares, in Mark 1:4, that John the Baptist is that voice in the wilderness, and that the person whose arrival he is proclaiming is Jesus. Mark combines the reference of Isaiah 40:3-5 with that of Malachi 3:1, which explicitly states that the messenger (again John the Baptist) will appear before the coming of the Lord in his temple. As with the quotation from Isaiah, the Lord is Jesus. Therefore, at the very beginning of his gospel, Mark likens Yahweh, the LORD to the Lord Jesus, referring to multiple verses from the Old Testament. For an attentive Jewish reader, the prologue to the Gospel of Mark has precisely the same force and meaning as John’s gospel. It states and affirms that God has come into the world. In other words, Jesus is both God and Man. He is a Divine Person, but has both a Divine and a human nature, distinct from each other, and yet united in one Person. In Mark 2:3-10, Mark goes on to show us that Jesus forgave the sins of a paralytic. The scribes were horrified and said among themselves: “He is blaspheming. Who can forgive sins, except God alone?” For the Jews, to blaspheme against God was the worst of accusations. It was the ultimate in disrespect to God. Specifically, it was taking to a man the attributes or prerogatives of God. It is clear that here Jesus neither insulted God nor pronounced his name. Their accusation of blasphemy can only mean that Jesus declared himself to be God by claiming the divine right to forgive sins. When the scribes accused Jesus of proclaiming Himself to be God, instead of denying it, he went much further; In healing the paralytic, He did what only God can do, according to the Prophet David in that psalm. Later in the same chapter, Jesus, speaking of himself, says: “The son of man is the Lord of the Sabbath” (Mark 2:28). Unless we know the Old Testament well, it is easy not to notice that the Sabbath is the fourth of the Ten Commandments (Exodus 20:8). When Jesus declares himself to be the Lord of the Sabbath, he claims to have authority over the Ten Commandments, although they were given by God: Yahweh. Who can still the storms, except God? In Mark 4:35-41, we find the disciples In the midst of a storm, with waves so important that the waves threw themselves on the boat and began to flood it. In the storm they cried out to Jesus. Jesus rebuked the wind, and said to the sea, “Silence! Shut up !” And the wind ceased and there was a great calm. The disciples were seized with great fright, and said to themselves, “Who is this one, whom even the wind and the sea obey? We should realise now that Mark expects us to answer these rhetorical questions by turning to the Old Testament. In Psalm 107:25-30, men are viewed as on a furious sea. It is so perilous that their courage has gone, leaving them in deep confusion. “In their distress they cried unto the LORD, and He delivered them out of their distresses; He stopped the tempest, restored calm, and the waves were silent.” Thus, in the Old Testament, when men are caught in a storm on the sea and fear for their lives, they cry to Yahweh, the Lord, who stops the storms and calms the waves. In the Gospel of Mark, when the disciples were caught in a storm on the sea and feared for their lives, they cried out to Jesus, who stopped the storm and calmed the waves. Once again, Mark likens Jesus to Yahweh. In another passage about a journey to the sea, in Mark 6:45-52, the disciples are struggling to row against the wind. Among the raging waves, Jesus walked towards them on the waters. For those who know the Old Testament, this is an allusion to Job 9:8. There Job speaks of the Lord God: “Only He spreads the heavens, He walks on the heights of the sea.” Thus, Job describes that which is only God could do, and Mark introduces us to Jesus doing that very thing. Jesus is both God and Man. Jesus said so! Now that we have discussed what emerged from Mark 1-6, we understand what Mark wants to demonstrate He presents Jesus as the Eternal God. If you are still not convinced by the clarity of these many allusions presenting Jesus as God, then let me show you the culmination of this gospel: the trial of Jesus. In Mark 14:55-64, Jesus was brought before the High Priest and the Sanhedrin. Those who brought him there had already sought to destroy him at the beginning of his ministry (Mark 3:6). They hoped to incriminate him by his words against the temple, but without sufficient testimony or consistent accusation, the trial goes badly for them at first (Mark 14:55-59). The meaning of his words will not make sense if we do not know the Old Testament, but for the Jewish Sanhedrin it is so clear that the whole group of that council condemns Jesus to death for blasphemy. Jesus makes a double reference to the Old Testament, declaring that the privileges and position of the Lord (Yahweh) are His. I saw in the night visions, and behold, with the clouds of heaven there came one like a son of man, and he came to the Ancient of Days and was presented before him. And to him was given dominion and glory and a kingdom, that all peoples, nations, and languages should serve him; his dominion is an everlasting dominion, which shall not pass away, and his kingdom one that shall not be destroyed. In this passage from Daniel, a being resembling a human (like a son of man) approaches God. Although he is like a human, his arrival is through the clouds. Such an arrival is reserved exclusively for the Eternal God in the Old Testament. Then to him that is like unto a son of man is given eternal dominion, glory and reign, even though only God is supposed to have dominion, glory and eternal reign. Finally, this passage informs us that all people will serve the Son of man. The word “serve”, whether in Aramaic or Greek, always refers to a service which is due only to God alone. Do you see, this chapter 7 of Daniel presents a son of man who comes in the clouds of Heaven, as only the Eternal God can do? He then receives eternal dominion, glory and reign, as only the Eternal God possesses them. Finally, all the people will serve him with worship and service that only the Eternal God deserves. The ‘Son of Man’ of Daniel 7, is evidently a Divine Person, though called the Son of Man. Through the gospel of Mark, beginning in Mark 2:10, Jesus says of himself that he is the Son of Man, although he never explicitly defined this term. In Mark 14:62, the culmination of this gospel, Jesus finally reveals to everyone who he is, quoting, that is, Daniel 7:13-14: He is the Son of Man of Daniel 7. He is Yahweh, the Eternal God manifested in the flesh. Jesus brings trouble on His own head by what He says. Sitting at the right hand of God was a right that no one had dared to claim, or to attribute to anyone until that day. Sitting at the right hand of God is the same as sitting on the throne of God and was tantamount to Jesus proclaiming himself to be the heir of God, the one who shares sovereignty with God. After reading the Gospel of Mark from the perspective of the Judaic Scriptures of the Old Testament, we cannot escape the evidence. From the introduction to the culminating point, the Gospel of Mark is an exposition of the divinity of Jesus. The first biography of Jesus, ever written, is intended to show us that Jesus is the Eternal God. How do you find the accused: guilty or not guilty? If we set aside our Islamic presuppositions, and ask ourselves the question as objective observers, will we arrive at the conclusion that Jesus claimed to be, who and what he is: God? The outworking of my own experience is overwhelmingly and convincingly, a “Yes!” The research I have done on this subject has transformed my life forever. It is impossible to defend any thesis or theory that the divinity of Jesus is a late invention. It is obvious that the teaching that Jesus is both God and Man is not something resulting from an evolving, changing and developing Christology by over-enthusiastic Christians. Not only does the gospel of John present Jesus as God, but so does Mark. For Mark, “Jesus is Jehovah the Saviour”, both God and Man in One Divine Person. This earliest document provides first-hand evidence, probably from the same decade as the crucifixion of Jesus, equating Jesus with the Eternal God.